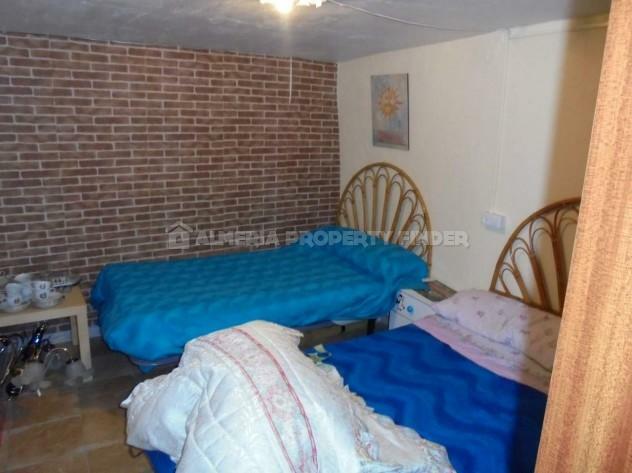 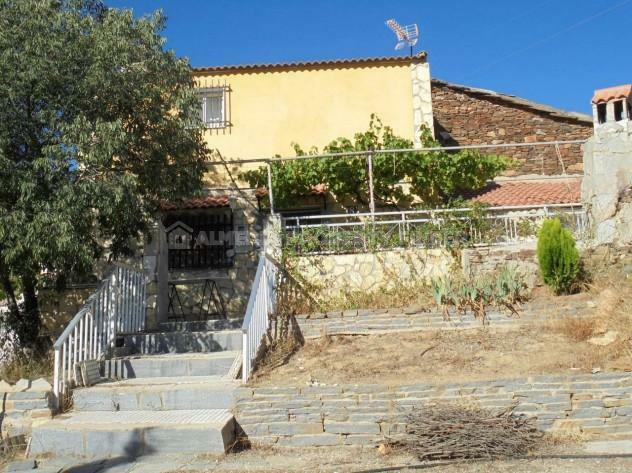 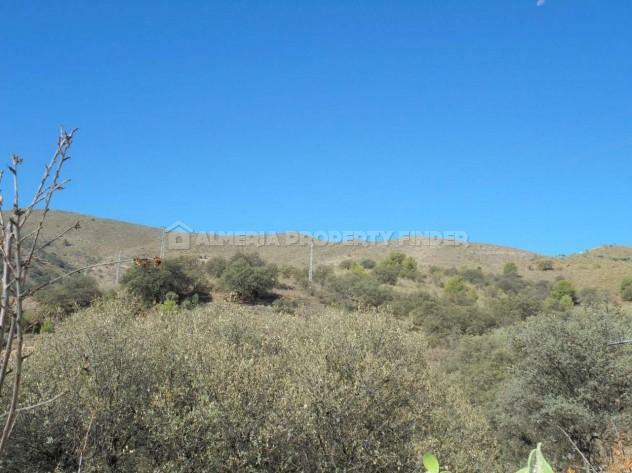 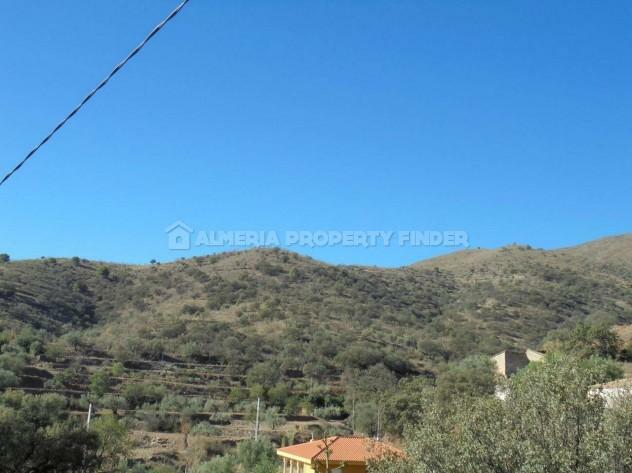 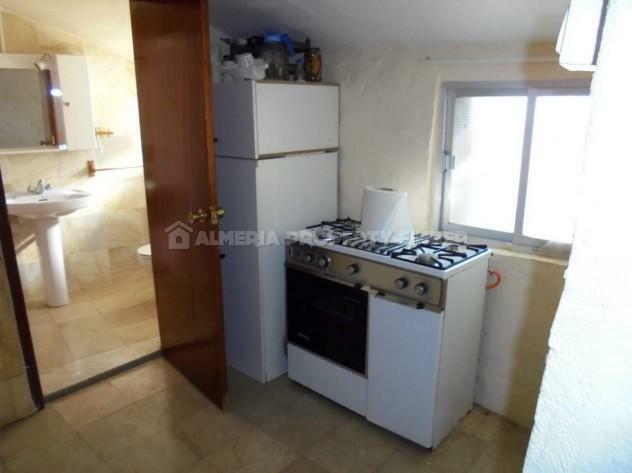 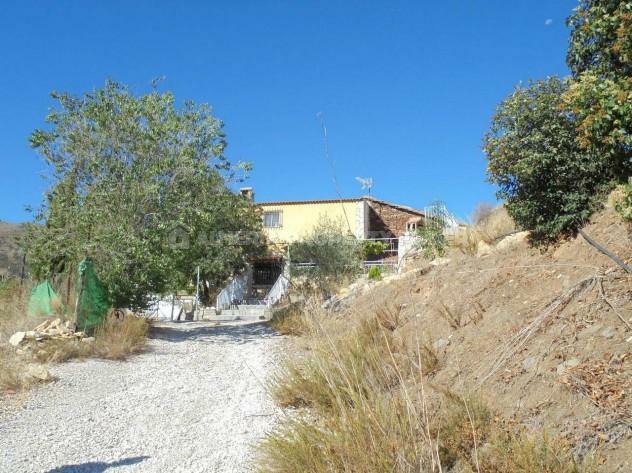 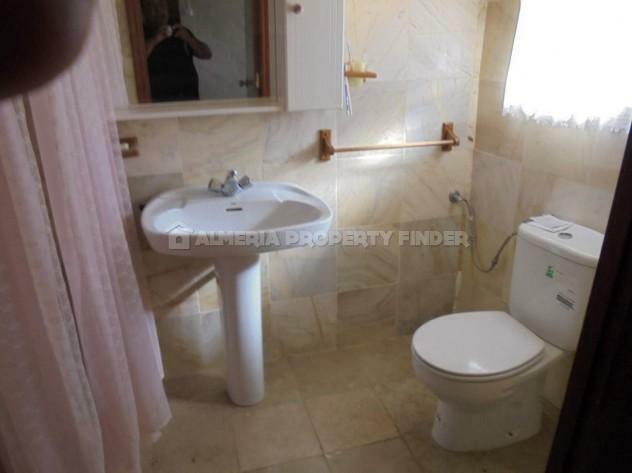 Semi -detached renovated 3 bedroom country house for sale in Almeria Province, set in a tranquil rural area yet only 5 minutes drive from a small town with amenities. 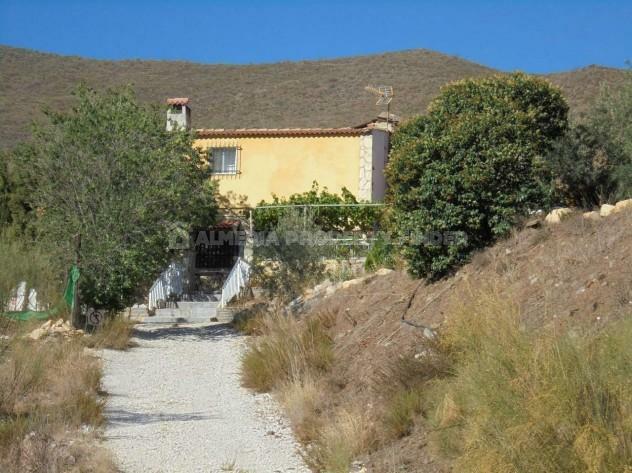 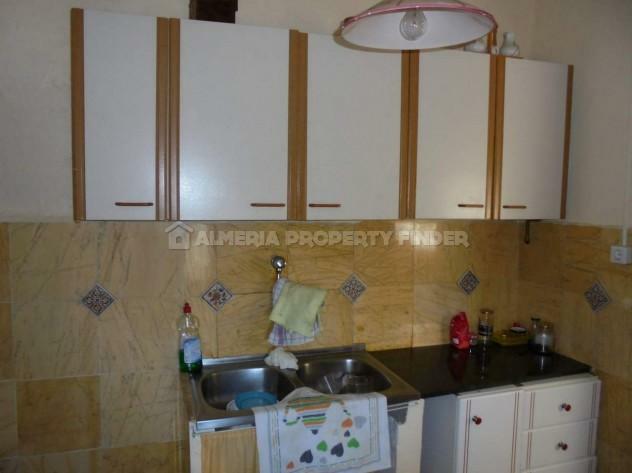 With a build size of 120m2, the property is set in a plot of 1700m2 which is planted with olive trees and grape vines. 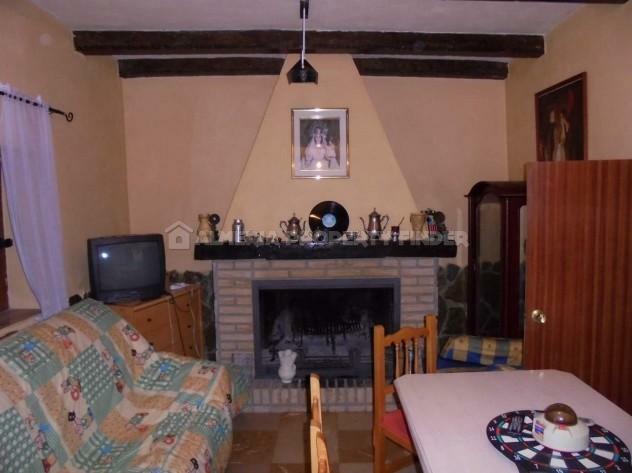 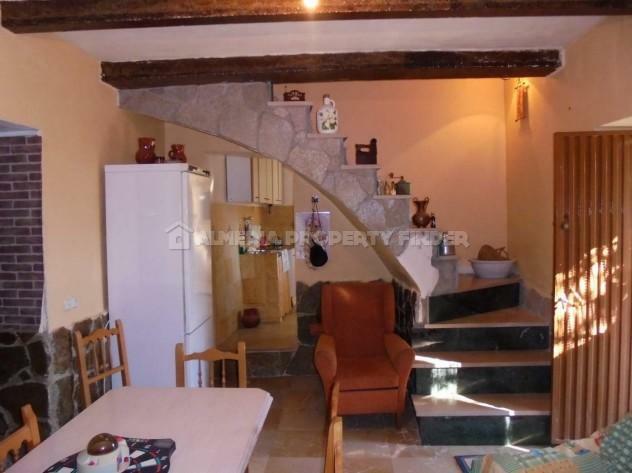 The house has been renovated in a rustic style with many interesting features. 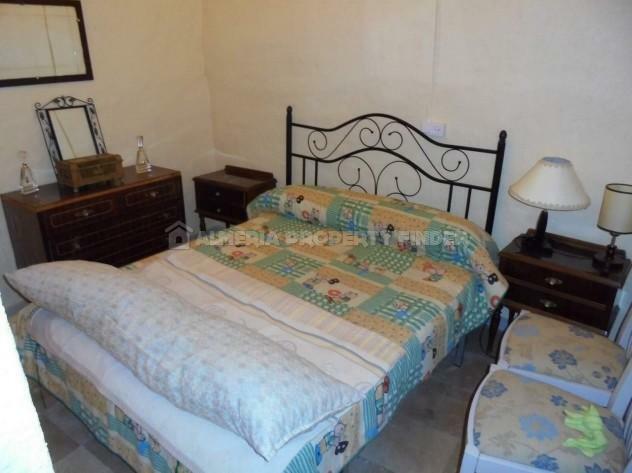 It comprises a part fitted kitchen, a cosy lounge / dining room with traditional open fireplace, 3 double bedrooms and a shower room. 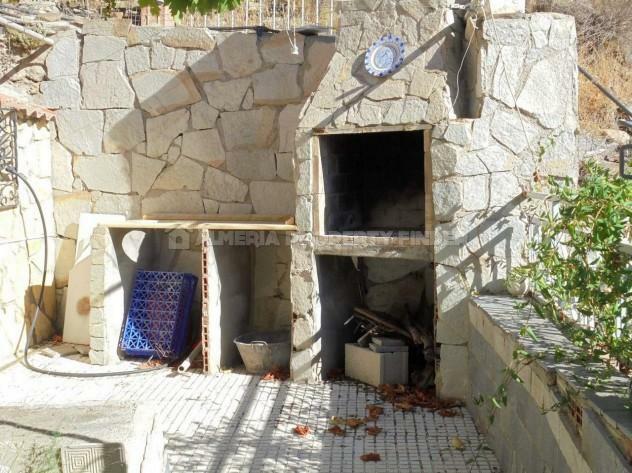 There is also a porch / terrace shaded by grapevines, a walled patio with built-in barbecue, a storage space which could be used as a garage, as well as plenty of space for an above ground pool.